Home/Investigators and Research Centers/Investigators/Diana Alecsandru, M.D., Ph.D.
Dr. Diana Alecsandru, M.D., PhD. is an attending physician at IVI Madrid where she serves as Consultant Clinical Immunologist Physician for Reproductive Immunology Services, Assistant Professor at Complutense University in the Department of Microbiology, Division of Immunology, and Professor of Master’s Degree in Human Reproduction at Rey Juan Carlos University, Complutense University, and European University in Madrid, Spain. She received her medical degree from Carol Davila University Medical School in Bucharest, Romania. She completed her residency training in Clinical Immunology in San Carlos Hospital, La Paz Hospital, and Gregorio Marañon Hospital in Madrid and received her Immunology Certification from the Education and Health Ministry of Spain. She completed her Ph.D. in Medicine at Complutense University, focused in immunogenetics and her thesis research was awarded with the Extraordinary Ph.D. Award in Medicine Section at Complutense University, in Madrid, Spain. 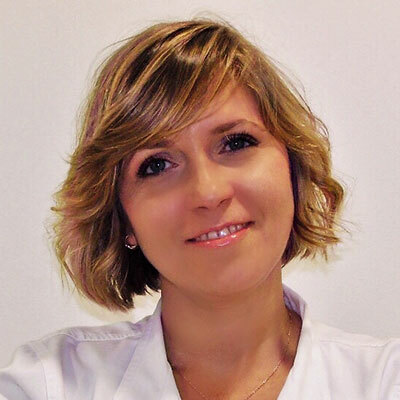 Dr. Alecsandru completed her Clinical Immunology fellowship training at the Immunology Department of Royal Free Hospital, Jeffrey Modell Foundation, London. UK. Dr. Alecsandru completed her Reproductive Immunology training in Gregorio Marañon Hospital Madrid in the FIS –Carlos III Health Institute (Spain) program. Dr. Alecsandru is a board certified Clinical Immunologist, and a board certified Reproductive Immunology Specialist. She is active in the Spanish College of Medicine. She is also a member of the European Society for Human Reproduction and Embryology (ESHRE), the European European Society of Reproductive Immunology (ESRI), the Spanish Fertility Society (SEF), and the Spanish Immunology Society (SEI). Dr. Alecsandru has been invited to speak nationally and internationally and has authored and contributed to over 50 peer reviewed publications, published chapters and abstracts; she is the author for several textbooks on recurrent implantation failure. She serves on the Editorial Board for Obstetrics & Gynecology International Journal (OGIJ), and as Ad Hoc Reviewer for leading reproductive journals including Fertility and Sterility and Reproductive BioMedicine Online. Her research interests include early placentation, recurrent implantation failure, recurrent miscarriage, immuno-genetic and immunological factors involved in embryo implantation, impact of autoimmunity on ART outcome, effect of metabolic status on ART success. She is Investigator in projects funded by the Ministries of Education and Health in Spain. Am J Reprod Immunol, 2014. Introducción a los fármacos biológicos.